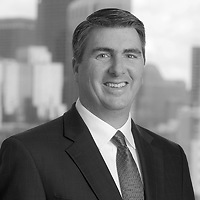 John G. Loughnane, a partner in Nutter’s Business Department, published “Intellectual Property and Technology Issues in Distressed Situations” in the 2016 Norton Annual Survey of Bankruptcy Law. In the article, John discusses developments in the law governing intellectual property in distressed situations and analyzes several recent decisions construing Section 365 of the Bankruptcy Code. Two cases from Delaware are outlined—including one where the lower court was found to have committed reversible error in allowing a debtor to obtain the benefits of a license agreement through assumption but avoid the burdens of other related agreements through an attempted rejection. The other Delaware decision, In re Trump Entertainment Resorts, Inc., highlights a significant federal circuit court split about a key provision impacting IP in bankruptcy. The article also discusses the implications of recent court holdings that the rejection of a trademark license does not constitute a termination of the nondebtor licensee's rights under the rejected contract—a result at odds with another longstanding circuit decision. Additionally, John analyzes the treatment of social media assets, including an opinion which determined that certain disputed social media accounts constituted property of a company's bankrupt estate, not property of the former individual majority owner of the company. He briefly summarizes the resolution of disputes concerning personally identifiable information sold in the RadioShack proceedings, and summarizes the relevant provisions of report from the American Bankruptcy Commission to Study the Reform of Chapter 11 recommending proposed changes relevant to the treatment of technology and intellectual property in distressed situations.